Sun’s out, new Harley-Davidson Roadster’s out! Time to buy that Harley you always promised yourself? There's something inherently alluring about the freedom of the open road astride a motorbike, and that's only made more so by a bout of gorgeous weather. 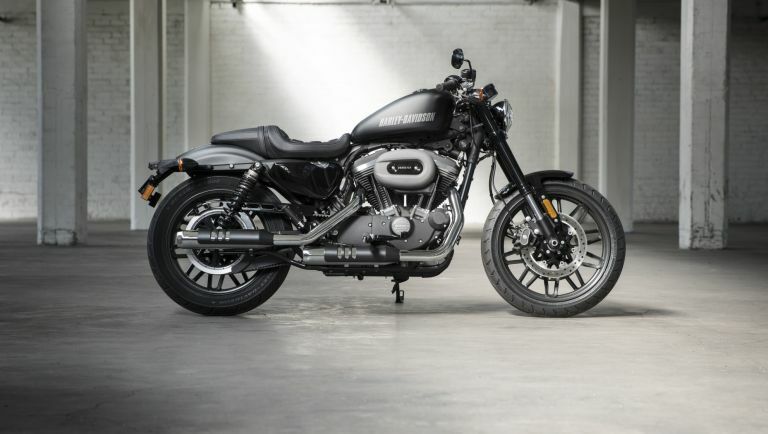 When that happens our attentions usually turn to daydreaming about a Harley-Davidson, and as luck would have it the most iconic of all cruising bike brands has just announced a new addition to its Sportster line-up: The Roadster. Intended to be as at home in an urban environment as it is on the twisty back roads of The Rockies, the Roadster is a stripped back beast inspired by classic racers of the 1950s and 1960s. With the current boom in the custom bike world, H-D are clearly keen provide as perfect a starting point as possible, and the Roadster slots right in there with an already 'bobbed' rear mudguard (this type of fender chopping is where the custom bike term 'bobber' comes from, FYI), plus other super-cool styling such as the pinstriped peanut tank, aggressive low-rise handlebar and the slotted belt guard. Performance comes from a 1200cc air-cooled Evolution V-Twin engine that delivers strong mid-range torque, sitting in-between a pair of insanely tidy Offset-Split 5-spoke wheels – the most intricately cast wheels H-D have ever made. And with prices starting just south of £10k, that sunny highway dream is quite literally around the corner!